'Headmaster' by Jaimie Roberts, brings us the story of Sasha, a girl who had been considered "missing" for three years and now is trying to come back to her life and running to get her things straight, especially school. When she was fifteen, Ray was kidnapped by a friend from her family and kept away for almost three years. Now, with eighteen years old and under a new ID, Sasha fights to take back her life by her mother's side and runs to get her things straight, specially at school. On her last day off before her classes starts and on her eighteen birthday, Sasha is at a pub talking with a friend when he dares her: get to kiss the handsome stranger who's at a table in less than fifteen minutes of conversation. Now, imagine her surprise when she discovered the next day that Easton, was none other than Easton Lockhart, the school's new headmaster! The discover surprised both of them, so they agree in forget what happened last night at the pub and keep away from each other. But the destiny had as main goal to bring Sasha and Easton together. The attraction was already huge, and now is ready to explode. But what would they do with this new situation? It was kinda impossible they have a relationship without it compromise their lives at school, and no way Sasha would be ok if something happened to Easton carreer because of her, specially now that she know he can bring her to life. Just as they can see the light in the end of the tunnel, a ghost from Sasha's past comes back to hunt her and when she finally notice it, can be too late. 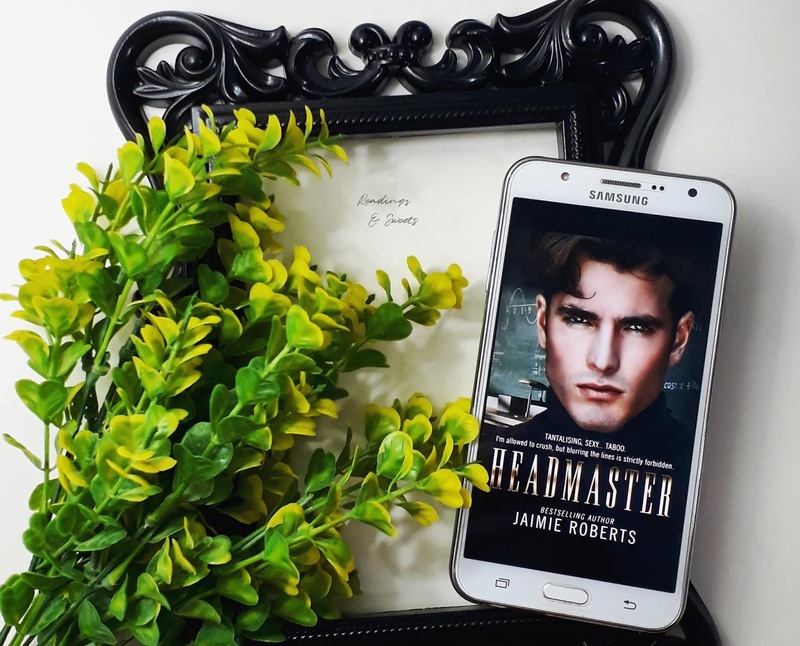 'Headmaster' by Jaimie Roberts brings us a story that takes the reader to a constant state of anxiety waiting the sh*t hit the fan. This book is an emotional roller coaster and you never know what's about to happen in the next chapter. Its characters are very well developed, they are strong and with a lot of baggage. There's no way you don't feel involved by Jaimie's words. During the reading, the author brings us a lot of flashbacks, everything Ray/Sasha's been through while she was with her kidnapper, so we have an idea on how he was able to twist her and how it marked her in a way beyond imaginable. But Jaimie also shows how Ray/Sasha rebuilt herself, getting even stronger. She breaks your heart, let me tell you that! Easton is a character that also has a huge importance in this book. In the beginnig I thought he would have other purpose, but it was interesting to see how the author worked on it. I must confess I was a little bit concerned with the thing between Easton and Sasha, especially because he has such power at the school... But it was in the beginning, because after Jaimie started to work on the plot, I could see it was very different from what I imagined. 'Headmaster' is a really good reading if you want something differente but still a romance novel. It's a book that even with the emotional thing, the reading goes smooth and easily. Jaimie Roberts brings us delicated subjects, but doesn't allow her characters be labeled as victims, instead she makes face them as survivers, especially when she shows us how their ended up stronger after everything. Oh, by the way, 'Headmaster' is available on Kindle Unlimited!